Focus Bioscience website only contains some of the products we distribute. We have available many products not yet on the website, so please enquire with us for any reagents you cannot find online. Restricted Products: Note we only supply laboratory research reagents and kits for research purposes only. Not for human therapeutics or veterinary use. 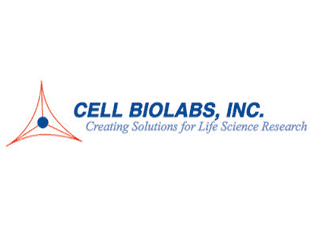 Cell Biolabs proudly develops and commercializes innovative technologies and tools for life science research. They are committed to providing the best products that facilitate discovery of the mechanisms underlying cell function and disease. Their unique, cutting-edge products are currently used around the world in the research laboratories of universities, government institutes, biotechnology and pharmaceutical companies. Focus Bioscience is an Australian Life Science Distributor dedicated to supporting researchers with personalised service and better value life science products. PO Box 6480, St Lucia, QLD, 4067 Australia.